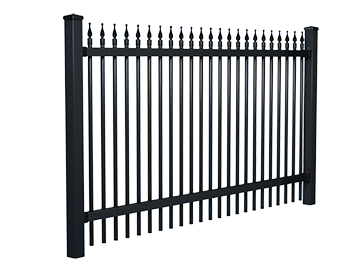 Ornamental Fiberfence fiberglass fencing is redefining the fence industry by offering an ornamental style fencing that looks like steel or wrought iron, yet Fiberfence is exceeding the performance of steel and iron in virtually every commercial, industrial or residential application. 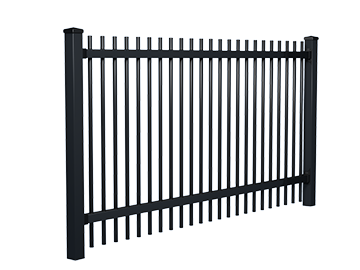 Fiberfence ornamental is a patented pultruded fiberglass product that is extraordinarily strong and can be configured to any design, manufactured in any color and backed by a limited lifetime manufacturer’s warranty. Ornamental Fiberfence is offered in 4’, 6’ & 8’ standard heights, standard black color and three top styles. 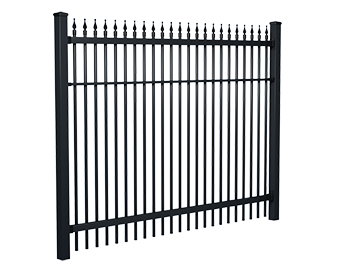 Fiberfence ornamental product is outstanding for use in city government or federal government products because it requires no maintenance and is permanent. This saves taxpayor dollars for other more needed projects. 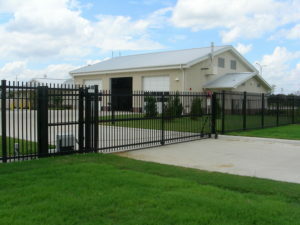 Fiberfence has become popular for using around fire stations. 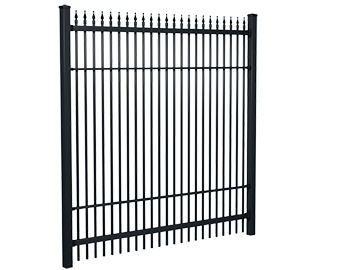 The gates are particularly useful because ornamentalFiberfence is light yet strong and does not drag on the automatic operator. Fiberfence ornamental extends the life of the operators. Additionally, Fiberfence ornamental has risen to the top for fencing around areas that are sensitive to radio signals or power lines. 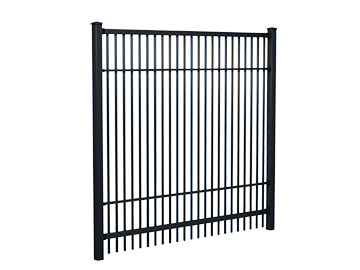 The non-conductivity makes Fiberfence is a number one choice for everyone that has to avoid electrial currents going through a steel or wood fence. It is the number one choice of airports and other areas such as cell towers to avoid bouncing off radio waves because Fiberfence is non-conductive and therefore not dangerous to the public or traffic in the air. Fiberfence is the best choice for any fire station, airport, sub-station, construction site, pool, waterway, ranch, secured area, military secured area, corrosive area, high humidity, high temperatures, high winds and general bad weather area. 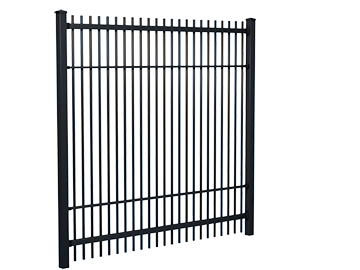 All other reasons are summed up as it is the right choice to buy Fiberfence lifetime warranty, 3 times the strength of steel, weatherproof and waterproof fence! 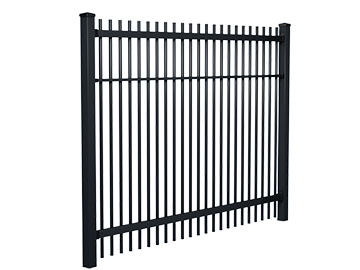 Fiberfence® panels are connected to the post using composite shoes and self-tapping screws. Installation is the same for a fiberglass post as it would be for a steel, iron or wood fence – typically 2’ in the ground for anything up to 6’ tall and 3’ in the ground for anything above 8’ tall. Can build a fence as tall as needed to the inch! 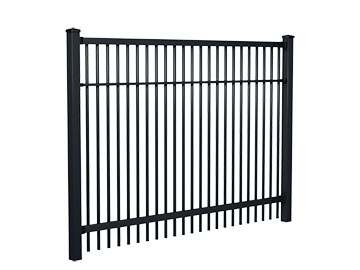 Can configure fence panels to fit unusual spaces such as over a ledge to the ground to meet another fence and connect.